Built to handle loads up to 1000 lbs.! 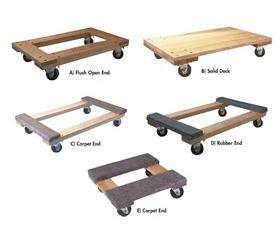 Rugged wood construction dollies to move industrial equipment, office furniture, boxes, parts, and more. Rolls on hard rubber swivel casters for maximum maneuverability. All dollies feature double ball raceway swivel casters for long life. 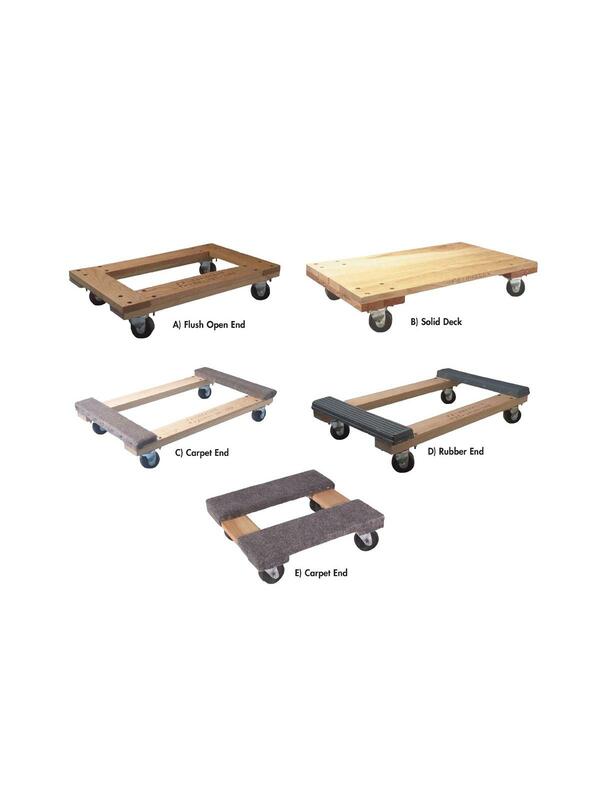 A style available for every type of moving requirement. FOB Shipping Point.